The CBBC channel has launched its new extended schedule, eleven days after previous timeshare partner BBC Three was finally removed from TV screens. The BBC Trust is meanwhile mulling over plans for the remaining bandwidth. CBBC, which previously timeshared bandwidth with BBC Three, is now on air until 9pm every evening taking over two hours of BBC Three's former slot. While the BBC Trust is considering proposals from the BBC Executive over what should happen to the slot beyond 9pm, CBBC is continuing on-air with a loop of promotional material. The BBC Executive has now submitted proposals to the BBC Trust detailing how the remaining broadcast capacity used by BBC Three should be utilised. 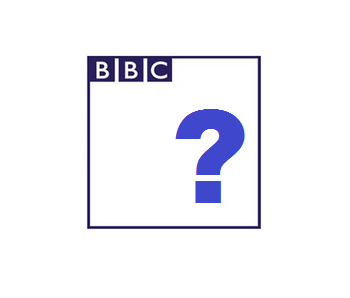 The BBC Trust has confirmed it is currently assessing these proposals, but a timeframe for an announcement on the matter is unknown. The proposals will only affect satellite and terrestrial capacity, as cable capacity is owned by the respective cable operator. On Freeview, the BBC is unable to offer the vacated BBC Three standard definition slot to commercial operators, as the capacity is "gifted" solely for BBC use. However, BBC Three's HD slot on Freeview can be offered to commercial operators. The slot has 98.5% UK coverage. BBC Four viewers living in areas where BBC Four HD is not available have called for capacity to be earmarked for the channel to give it a coverage boost*. As the slot is only available from 9pm, it would not be suitable for BBC Four HD, unless the channel's hours were cut to fit the slot. Meanwhile, the BBC has already configured an additional standard definition Red Button stream on Freeview channel 600, called BBC RB 0, which is likely to cater for additional sports and festival coverage on the BBC during the summer, including action from Euro 2016, Glastonbury and the Olympics. The stream isn't yet live, but is likely to rely on ex-BBC Three SD "gifted" capacity, as there is no additional BBC capacity available at the moment without cutting another BBC service. BBC RB 0 was first launched in 2014 as a part-time Red Button service on satellite, timesharing with CBBC during the Commonwealth Games, while BBC Three was extended and moved to its own 24 hour slot. BBC RB 0 was simulcast on the former BBC RB 301 service on Freeview. *BBC Four HD has a UK Freeview coverage of just over 70%. Technical coverage is just over 75%, but as this would depend on some viewers realigning or changing their aerials, actual coverage is said to be just over 70%. BBC RB is BARB reported. Some top programmes have ratings in the 50,000-100,000 range.